Arizona State Senator Judy Burges and her family sadly announce the death of a wonderful husband and Dad, Robert Burges. Robert died suddenly this morning, Sunday, August 19th of an apparent heart attack. While at home this morning, Robert requested that Judy drive him to the hospital, and while en route, Robert died. Senator Burges and family are in the process of developing the funeral plans which will be announced later this week. So sudden was this event, you can imagine how unprepared Judy and family were to face the shock not to mention all the details that now surround this time of sadness. Robert Orin Burges was an Arizonan to his core, a lover of the land and the west, as well as his two girls and son and Judy his beloved wife and partner in every sense. Robert loved meeting and greeting people and was engaged fully in the process of representative government. Senator Burges and family fully appreciate and understand why so many folks from around Arizona would like to share their thoughts and good wishes with Judy and family, as well as their personal remembrances of Robert. Please wait until the announcement is made giving times and details to accomplish that and to meet with the family. Today and tomorrow are full of overwhelming emotions and decisions every family must make privately at a time like this. I spent a couple of hours with Senator Burges at the hospital, and was present when family members arrived. As you can expect, distraught and numb but intact. Judy is aware of how many people are thinking and praying for her and her family, and will personally thank you at a later date. One of the true conservative gentlemen who had a influence on my early political life passed away this last Friday. Daniel H. Schottel was a friend, a mentor and someone who stood unwavering on conservative principles. When I ran for the Arizona Legislature in 1994, Dan was the one who shepherded me around introducing me to everyone and bragging I was going to be his only southern Arizona conservative seatmate. He really took me under his wing and kept a watchful eye over me. But Dan was more than just a mentor, he was someone who knew what he believed and stood his ground. Some of my memories of him include watching him serve on the Education Committee as Chairman and keeping the AEA on the defense and pushing for parental rights and school choice. One fond memory I have of Dan Schottel was a train ride we took from Benson to the ghost town of Charleston in southern Arizona. As the train made its way down the tracks and back in time, Dan stood looking out the window at the passing scenery. In those moments, he appeared to me like John Wayne watching over the train’s passengers. Dan is survived by his wife Eileen and children and an abundance of grandchildren and great grandchildren. Thank you Dan for your service and having an impact on many of us. Rest in peace. Daniel Herman Schottel 75 went home to his Lord and Savior on February 18, 2011, while surrounded by his family. Daniel was born in St. Louis, Missouri on August 10, 1935. After serving in the United States Air Force, he moved to Tucson in 1957. He worked in finance and food sales before opening several small businesses Dan was elected to the Arizona House of Representatives in 1992 where he served for eight years. The highlights of his career were serving as Chairman of Education and being appointed by the governor to the Western Interstate Commission for higher Education. in 1995. Dan is survived by his wife, Eileen; son, Carl (Jackie); daughters, Stacey and Kathe (Louis) Jahn along with six grandchildren, six great-grandchildren and sister, Gloria King. Dan was preceded in death by his son, Daniel Jr. Daniel (AKA “Pops”) was a strong loyal friend who valued honesty and respect. His sense of humor and love will be deeply missed by everyone he touched. 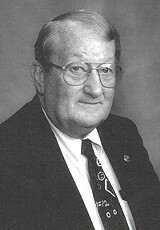 A Memorial Service will be held on Friday, February 25, 2011 at 11:00 a.m. at Ascension Lutheran Church, 1220 W. Magee Road. In lieu of flowers, please make a donation to your favorite educational program. Arrangements by ADAIR FUNERAL HOME, Dodge Chapel.